Learning the Hard Way When a 3-Year Old Boy Is Attacked By a German Shepherd. The pic is not the dog from the story. LMAO.....Ha..Ha..Ha I know why you did that....LOL But peeps really need to read this....It is sooooooooooooo true. Oh Cher that one is a heart breaker. That was the most itelligent article I've read for some time. 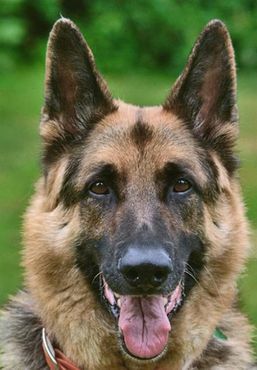 All the german shepards dogs I've ever come across have always been beautifully natured. Just about any animal (and person for that matter), that is mistreated is going to have issues.